Welcome to the iDisciple Podcast! This episode is centered around a very important issue: the church’s role in taking care of orphans and foster children. 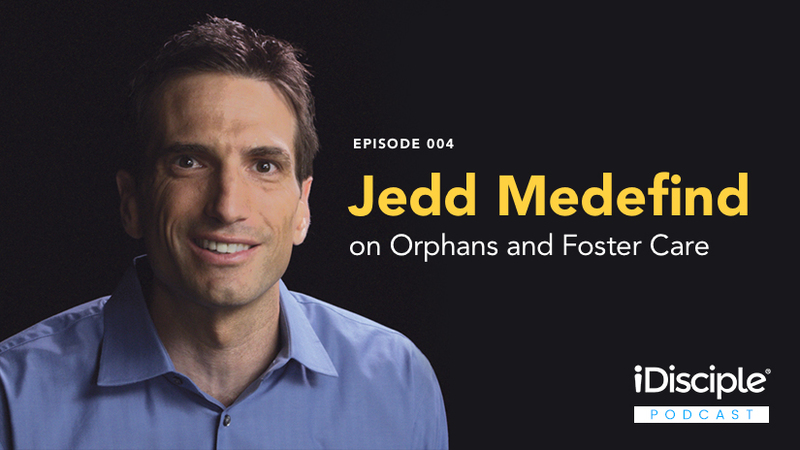 iDisciple CEO David Henriksen is joined for an eye-opening discussion with Jedd Medefind, President of the Christian Alliance for Orphans (CAFO). The Christian Alliance for Orphans, or CAFO, is an organization that unites more than 180 of the world’s most respected Christian organizations and a global network of churches. Together, the Alliance works to ignite and equip individuals and churches for adoption, foster care and overseas orphan care ministry. Prior to his role as President of CAFO, Jedd made a lasting impact through a variety of positions in the California State Legislature, and was eventually selected to lead the White House’s Office of Faith-Based and Community Initiatives. Jedd currently resides in California with his wife Rachel and their five children. We hope this episode will motivate you to live out God’s calling to care for orphans! Jedd highlights some of the moments and opportunities that lead to him taking a role in the White House, and why God called him to work in the government in the first place. Why Jedd believes that his career journey is an example of God weaving together a story that you might not see in the moment. How the CAFO Summit has become an important hub for a global Christian movement to take care of orphans. Jedd explains how the average person can get involved, even if they are unable to adopt or foster children. How the church in America can be God’s answer to orphans and foster children if they’re willing to step up and make a difference. If you would like even more life-changing content from today’s top Christian leaders, download the iDisciple app for your preferred mobile device. Since 2013, iDisciple has been leading people into a closer relationship with God through music, sermons, and devotionals, all in the palm of your hand! Check out iDisciple to learn more, and sign-up for iDisciple today.